A new study says that when Californians were paying more at the pump for gas this spring and fall supply was actually increasing. Independent energy analyst Robert McCullough told a California State Senate Select Committee today he can't rule out the possibility that Chevron, Shell and Exxon manipulated prices. McCullough analyzed data on nitrogen oxide emissions from the state's oil refineries. He found that in May and October, despite reports of outages and shutdowns, they continued to produce enough gasoline to cause inventories to rise. "If you were actually buying and selling gasoline, and the amount of gasoline is increasing in the market, you're wondering why we would have the largest price spike in our history at that exact moment," McCullough said. A spokesman from the Western States Petroleum Association told lawmakers he could not explain what caused the price spikes. 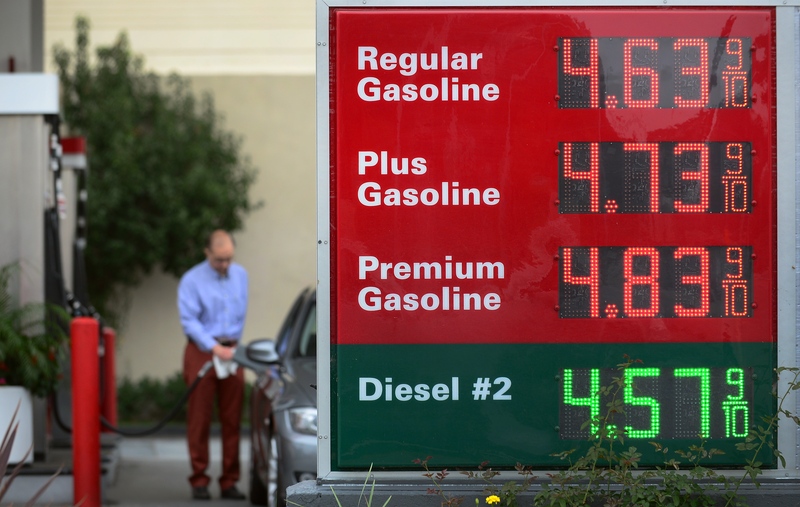 Gas prices rose sharply after a fire in BP's refinery in Cherry Point, Washington, Feb. 17, then again after a fire in Chevron's Richmond refinery. And another expert at the hearing connected price hikes to these outages. Outages affect gas prices more in California than in other states, said Gordon Schremp of the California Energy Commission. That's because California is far from refineries in other states, and there are no pipelines bringing oil into the state. So when an unplanned refinery outage occurs here, it takes longer for supplies from elsewhere to make up for the drop in production. Overall, price spikes make the price of a gallon of gas 7.6 cents more expensive in California than the rest of the United States on average, he said. 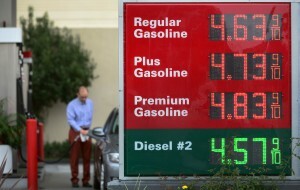 On the other hand, Schremp said, demand for gas in California has been declining. Consumption in 2011 was 8.2 percent less than in 2004, he said.